We got our first hint of snow last weekend. 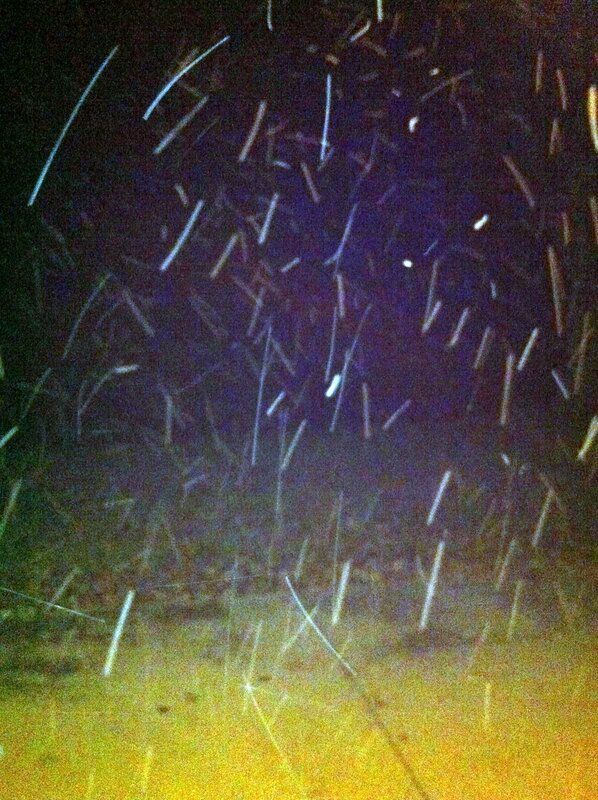 Apparently snow doesn’t photograph very well at night. I’m not really surprised by that, but I am just a little bit disappointed that my super camera isn’t as super as I thought it was. Still way better than the point and shoot that I was using six months ago. The snow didn’t hang around for long at all, it was back up into the 70’s in no time. Figures. There is this saying in Indiana about how if you don’t like the weather, you should wait a few hours. Case in point. Snow one night, wearing short sleeves the next day. In spite of summer’s return, I decided on a warm, wintry, hearty side for dinner the other night. We had some leftovers that needed to be used up so I did my best to use what we had. The butternut squash gratin turned out awesome! We will have it again for sure. I had about 1.5 cups of cheesy sauce leftover after toping our Corny Croque Madames with just 2 tbsp each. I also had nearly a whole thinly cut butternut squash sitting in my refrigerator thanks to my failed Korean squash pancakes. Obviously these random leftovers should be put together, no? Peel squash, slice in half, and remove seeds. Cut squash into thin slices, I used my food processor for this. 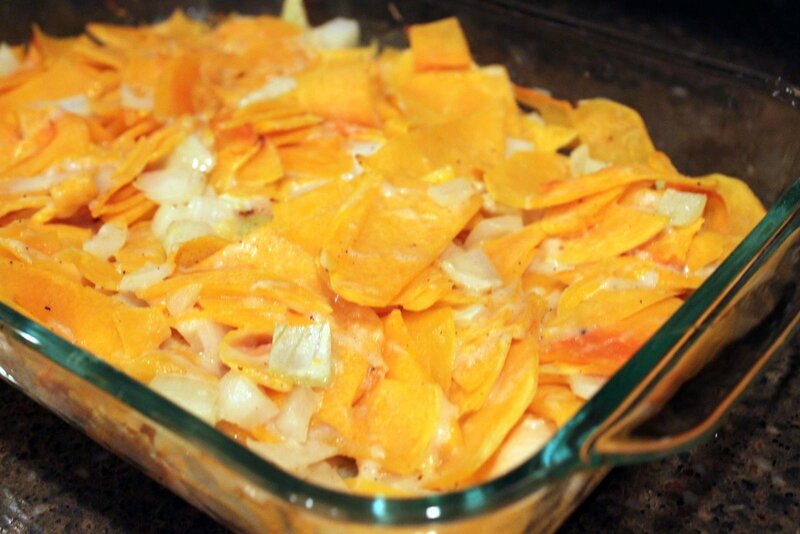 Combine squash, onion, and béchamel into a large baking dish and season with salt and pepper.